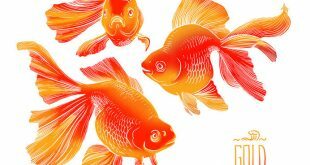 Home / Goldfish Types / Fantail Goldfish. Taking a closer look. 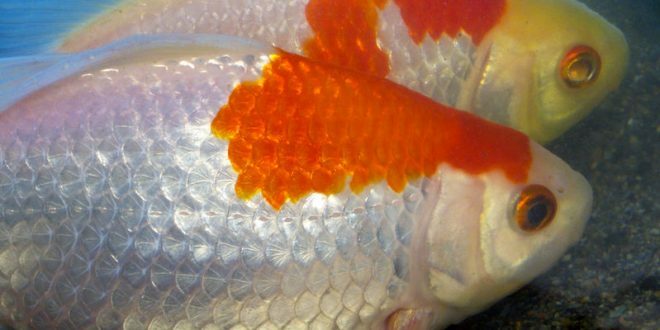 These are generally the most hardy of the fancy tailed goldfish group, and probably the easiest to breed, which is why many that start with them and then move on to other types. These can live quite happily in the same surroundings as the common ones, and also do well in small garden ponds as well as larger koi ponds. 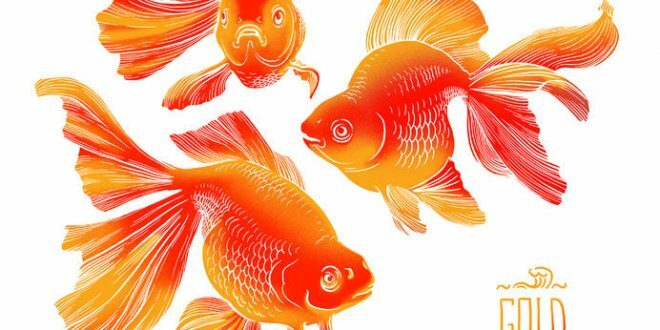 Originating in China and Japan, and available in other colors as well as just gold (one of more popular is also red fantail goldfish). That being said, let us take a closer look at this beautiful type of fish to add into our ponds, tanks and aquariums. This is a fish that is instantly set apart from our common goldfish, because of its egg shaped, or oval shaped body and it’s traditional fan tail which is split in two. 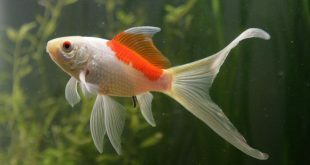 Although there are no true variants of this breed, there is a variety of different fin types, like veiltail, or butterfly tail as well as several different colors. For those wanting to start with them as their first fish in aquarium they will be the best starting point because they are easy to care for, easy to breed, resistant to diseases and very hardy with long lifespan. Purchasing for first time can be misleading you should always look for the oval, or egg shaped body being at least 3/5 of its length, as the shorter body length compared to depth is the preferred look. Apart from the dorsal fin, all fins should be paired and the tail should be completely divided with the upper lobes being larger than the lower lobes. Also take care that hey are free of any sacs, or growths like the nasal bouquets sometimes seen on other varieties of fish. Buying from quality breeder or one of those aquarium shops that know what are they selling can get you a high quality fish which in long term will live long and have a nice color without the drawbacks you get when purchasing from pet shops that focuses only on mass breeding. 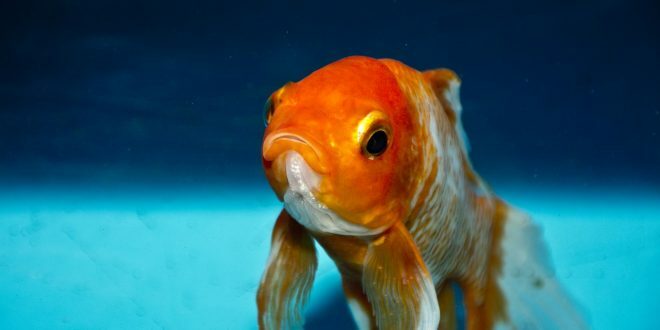 When talking about feeding these fishes its not much different than feeding any other goldfish, but take care to always purchase high quality food (pellets or flakes) that should contain nutrients to keep them happy & long living. 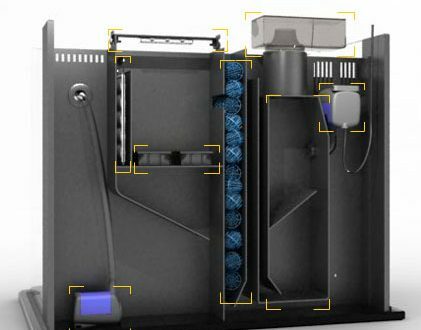 In general we would recommend to feed them more with pellet type of food because flakes tend to crumble in aquarium and degrade water quality quite fast. You also can supplement their diet with high fiber vegetables ( like most gold fish they are omnivores). And tank size?, there is a rule when buying aquarium for them. Always purchase at least a 20 Gallon aquarium per one fish with additional 10 Gallons for second one. Although this seems a little bit too much for that small fish you just bought, trust us it can grow as much as 15 cm in a year or two, we witnessed some going all the way up to 30 cm! Fourth around 16 to 20 weeks for color selection. With some additional research they can be breed easily with high percentage of fry being exceptional quality! ans additionally sharing in delicious. And obviously, thanks in your effort!